“Pretty in Pink” is a pattern I tested for the Quilt Pattern Magazine, which is an on-line magazine. 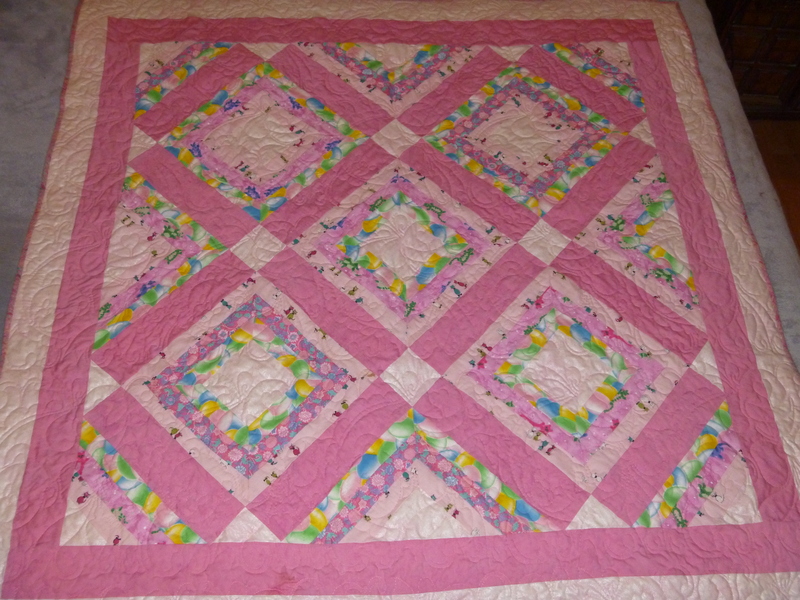 It is a great quilt for learning to miter and I love the way it turned out. It is 53.5″ square and yes, it does have the artist’s signature. 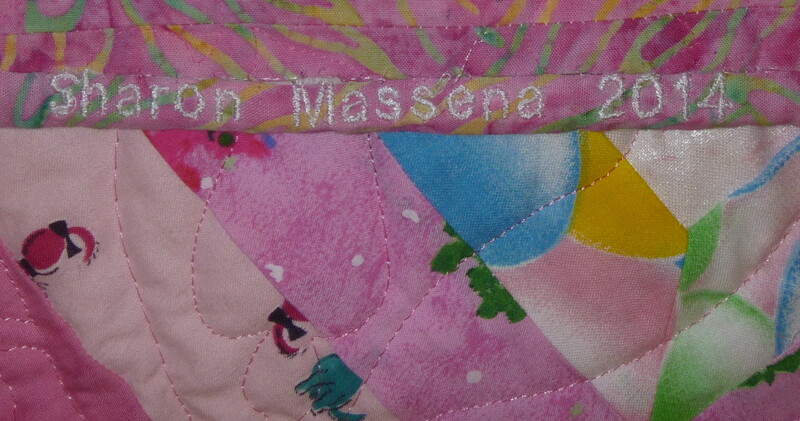 I loved putting the signature on with the embroidery machine because one would have to destroy the binding to get it off. However there are permanent markers one could use. I would suggest that you test the one you would use before using it. And when you test, be sure to wash the piece as well to know that it won’t ruin the quilt later.